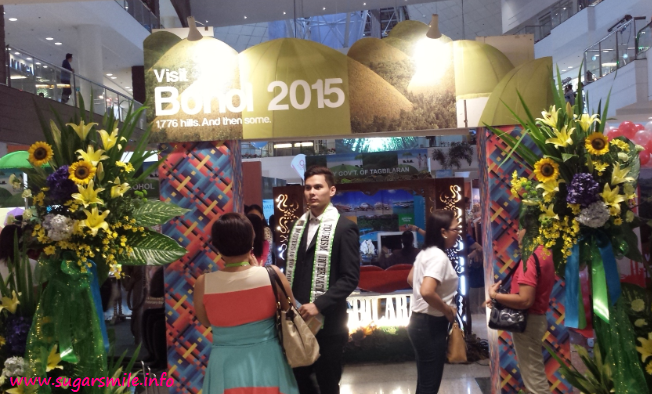 Starting January 9 at the Gloriette Activity Center until January 11, "Visit Bohol 2015" is launched under the leadership of Gov. Edgar Chatto, where they seek to position this top notch tourist destination with its amazing natural attractions and their friendly and honest people. Bohol is known for its awe-inspiring “Chocolate Hills,” rustic and centuries-old churches in Baclayon and Loboc, the ever-lovable “tarsier,” and of course, the never-ending smiles and hospitable culture of its people. I remember when I first visited Bohol, we were welcomed by our knowledgeable tour guide, and we left with a lot of history of the province. I was also in love with Panglao Island and its white sand beaches. I promised myself that I would go back again.